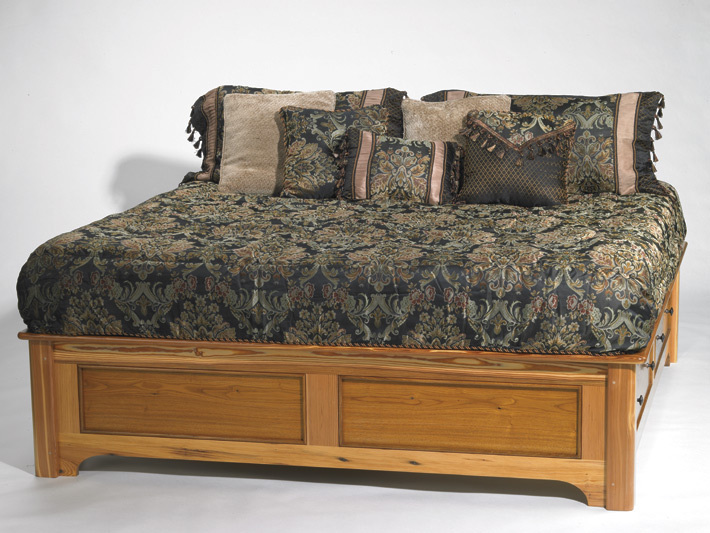 This king size bed was commissioned and delivered in Tiverton R.I for Christmas 2010. In response to the request for maximum storage, it features four large dovetailed drawers each measuring 30″ x 32″x 8″ made of clear recycled southern long leaf yellow pine. 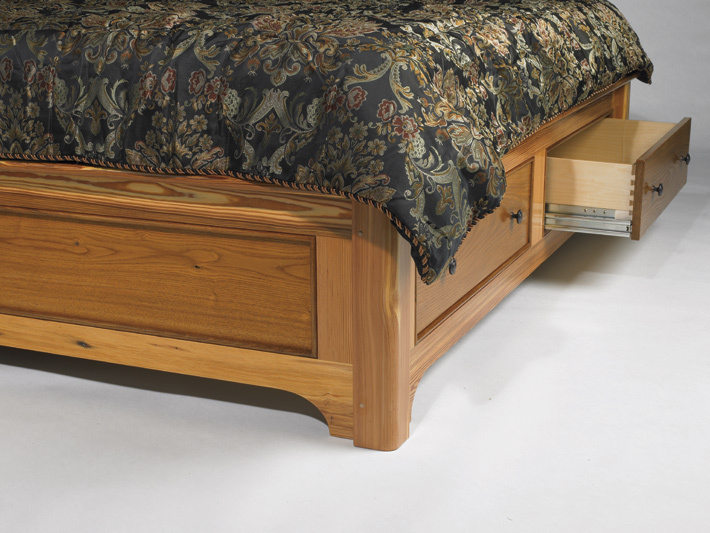 The panels drawer fronts and trim moldings are made of reclaimed American chestnut. Drawer slides and bearings are of stainless steel construction. 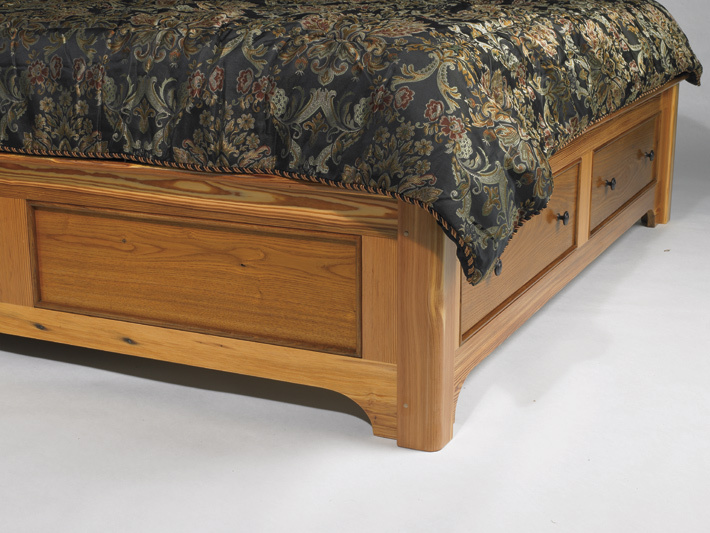 The traditional mortise and pinned tenon construction allows for easy dismantling and moving.